This is me, I did the election thing twice already – who knows if there is going to be a third time. I’ve had this blog since 2011 and have tried to write mainly about politics for a while but now I’m writing about things that are happening today and happening to me and around me. I have lived in downtown Ottawa since 2007, its where I want to be – long term, besides I do not like moving. My business background includes 20+ years with Bell Canada in Customer Sales and Service and a couple more with N-Viro Systems Canada where I was Sales and Product Quality Manager for a fertilizer manufacturer using waste diverted from the landfill and waste waster. It was a great job and allowed me to see parts of Canada I normally would not have visited. I am now entrenched in the political world – and loving it! I was in Queen’s Park as a member of Patrick Brown’s team in Toronto. in 2016 I took the opportunity to come back home to Ottawa and work as a Policy Advisor for John Brassard (Barrie-Innisfil) on Parliament Hill. I also manage the portfolio of Critic of Veterans Affairs for MP Brassard (who is the Opposition Critic). I am very active in my community, besides politics, and have been part of an affordable housing organization since 2007. I have a huge interest in communications and in using Social Media for social good. I like it so much that I’ve launched RD Media to help others develop “Social strategies for Success”. 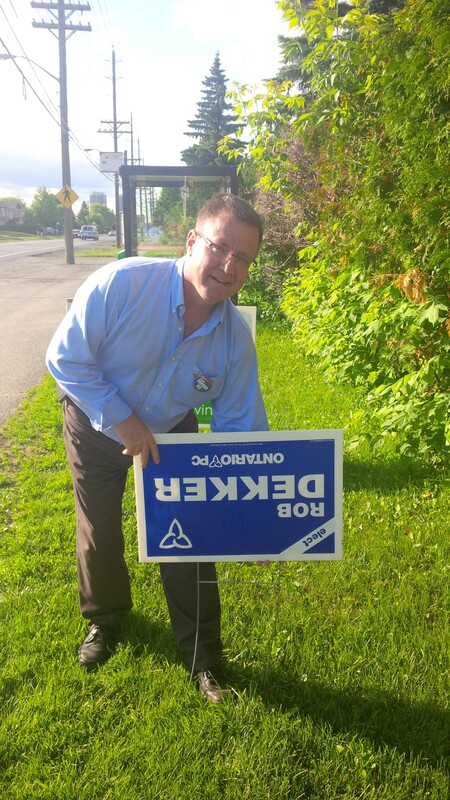 I can be found on Twitter (twice @robertdekker & @RDMediaOttawa, on Facebook and Linkedin. I am currently work for the Member of Parliament for Barrie-Innisfil in Ottawa. I have two adult children and enjoy living in Centretown with my partner Liz for almost 17years. If there is anything else you’d like to know, just ask at rdmedia@bell.net. I’m thinking of creating a WordPress.com mass-blog on Canadian politics, and I’m looking for anyone whom would be interested in being a contributor/author/editor. Yes, I am interested in taking part. My name is Anneliese and I’m a marketing associate at Simon & Schuster Canada. We maintain a blogger database with blogs in various categories. I thought you might like to be added to our political conservative blogger list. We contact our bloggers from time to time with books that we publish that appeal to their tastes and interests. You will not receive any unsolicited books and you only have to accept those books for review that interest you. If you’d like to be added to our database please get back to me with your mailing address. I’m happy to answer any questions you might have. I am interested, please contact me at dekker.ra@gmail.com. Thanks very much for following The Immortal Jukebox Aaron. I hope you will enjoy lots of entertaining writing and the wide variety of music. I usually post once a week. Please feel free to add comments. If you haven’t visited for a while come on over and see what’s new!